"Flight of Hope" Transaero airlines and charity fund "Life line" jointly launched a grand charity project. 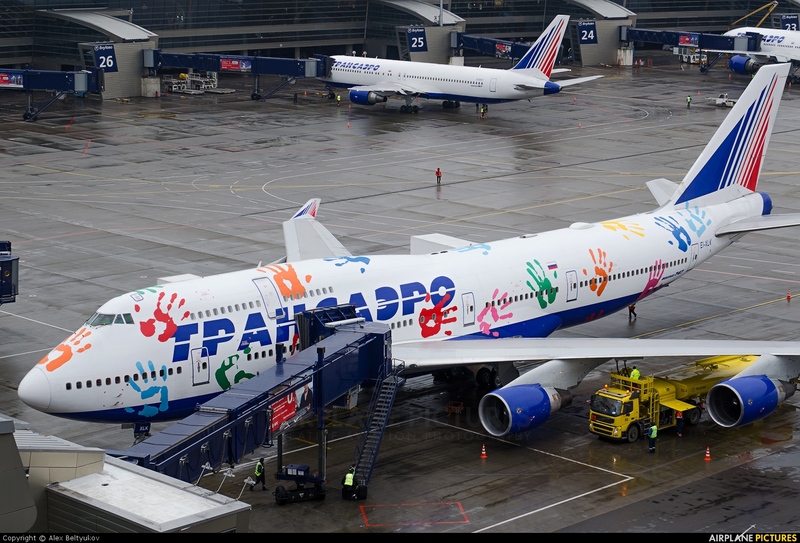 For this project, one of the aircrafts Transaero Airlines Boeing 747 have a special livery, consisting of palm prints of famous people. Including football players, singers, TV personalities, politicians and others. This livery for the aircraft chosen no coincidence, and has a special meaning. "Palm - always a symbol of goodness and sincerity and it is always trust. This will be the plane of hope, which will unite the whole world.